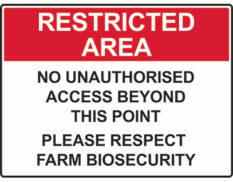 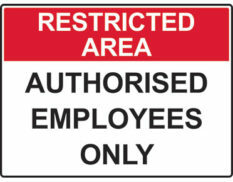 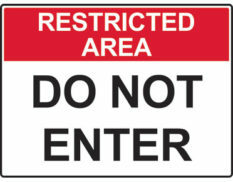 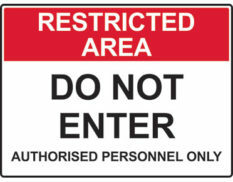 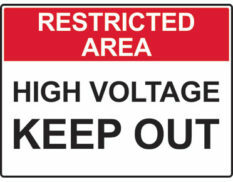 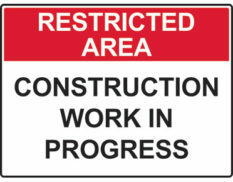 Restricted area signs are used to indicate areas on your site which are not open to general personnel or visitors. 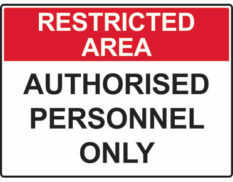 They feature a red header across the top of the sign white text stating ‘restricted area’. 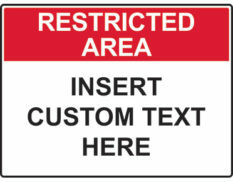 This category includes our standard range of restricted area signs, however we can also produce signs with custom messages upon request. 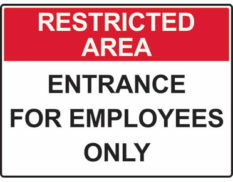 Signs are available in a variety of regular sizes. 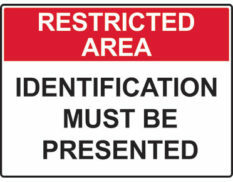 They can be manufactured on metal, poly, corflute, aluminium or self-adhesive labels.